shopping, click on the cart on any page. 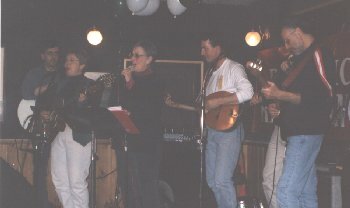 Peg's second Irish album "Four Green Fields"
is over one hour long , and includes a sixteen page insert. the hauntingly hot and romantic "Innisheer"
provided by Al Keltz and Linda Rutherford. 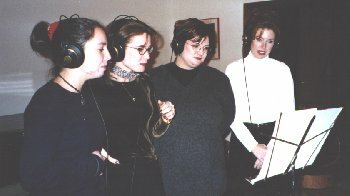 Peg's daughters adding background vocals. Peg relaxing between takes with Tramper.